Well, I don’t trust you. You just haven’t met the right plant yet! The last layer I always add into the rooms I decorate are houseplants. 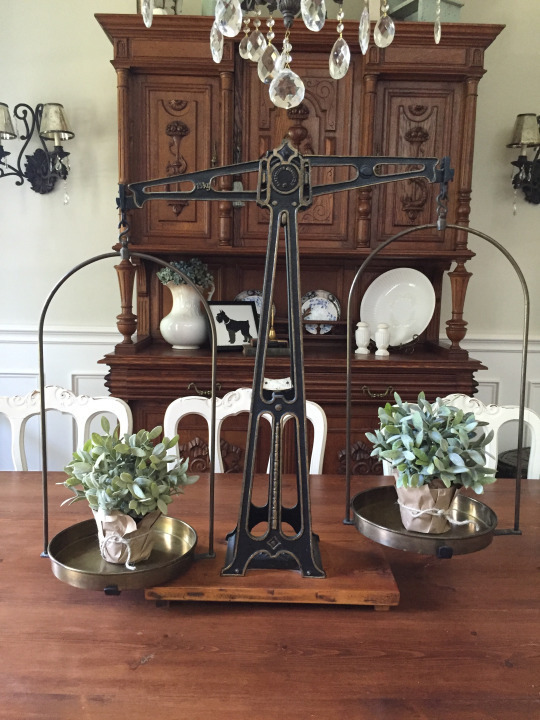 Nothing is going to breathe life into a home more than a few beautiful plants. They not only add a vibrant green color, and soft looking leaves, but also clean the air we breathe. I have them in every room of my house, and I have learned which plants I can easily keep alive and which ones take an extra amount of TLC. 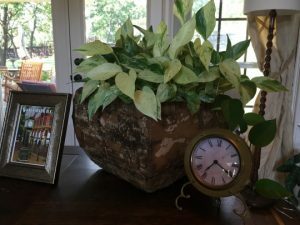 Many clients get a little anxious about adding this important step in design because they admit to having a brown thumb. Let me share with you the plants that have put up with me over the years and keep tickin’. If I still haven’t convinced you, I’ll tell you which fake plants get my stamp of approval. Spoiler alert, it is NOT fake ivy or ferns. So go put those in the trash right now, then come back. I’ll wait. These healthy three live in my master bathroom. They love the natural light the large windows provide, and also the steam from our daily showers. I particularly love the mini palm because it is very slow growing. The little pink Fittonia is a fun burst of color that can be used in any room! There is no hardier plant than the Pothos! I will forget to water this guy for over two weeks, and it still looks happy as can be! The color variation in the leaves drew me in, as well as the sweet, heart shape. I’m pretty sure he loves me, even when I ignore him. 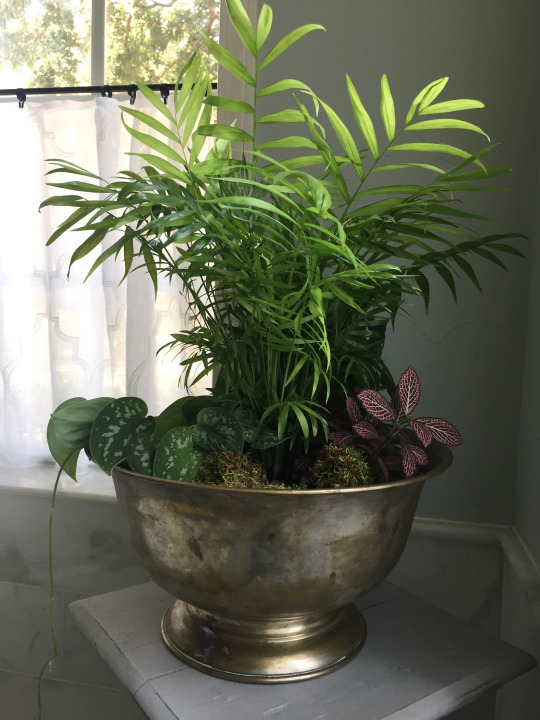 I love the idea of exotic ferns, but they ALWAYS die very quickly in my house! 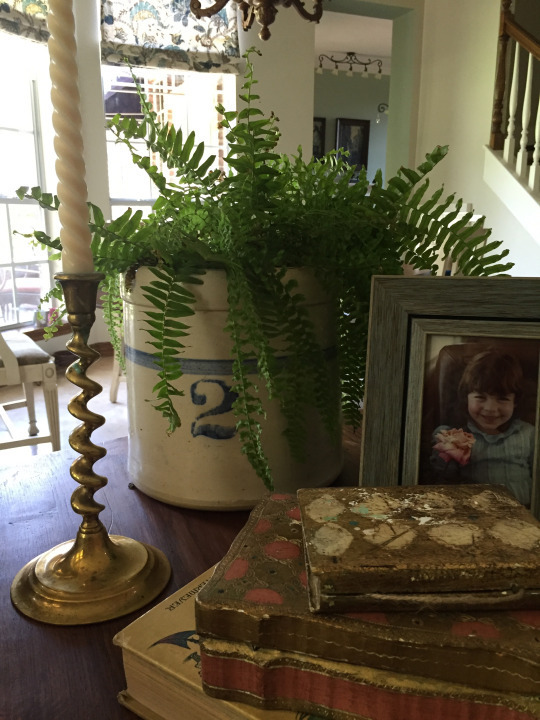 This good ole’ fashioned fern seems to be hanging on nicely, and isn’t prone to spider-mites, like his fancy cousins. Aglaonemas have the best color! The shades of blue and green on their leaves is heavenly! They are also slow growers, and don’t require a green thumb. Sometimes, okay a lot, I walk by and he looks a little droopy. I quickly give him a little drinky-poo and he perks back up like nothing happened. I love the plants that give you a warning! 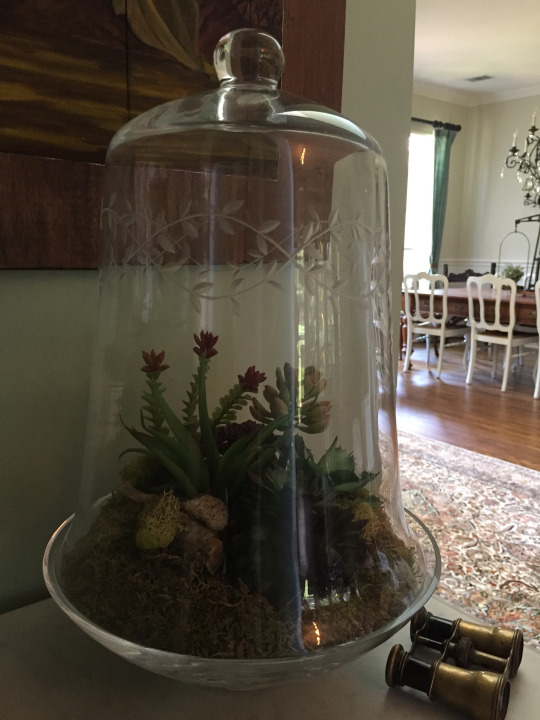 A couple of years ago, I went to a birthday party where we made these amazing terrariums. My succulents died within two weeks, no matter how much I begged for them to not leave me. After the appropriate mourning period, I marched down to Hobby Lobby and got identical looking plants, only God didn’t make these guys. Because they are mixed with real moss, and behind glass, even the birthday girl didn’t know these weren’t the original plants! Still not convinced you can keep these low care plants alive? Then I have a great alternative. Ikea sells these very realistic plants for $5.99 each. They are so real looking, in fact, that when I was out of town, my mother was watering them for me! Now that’s a good fake plant! 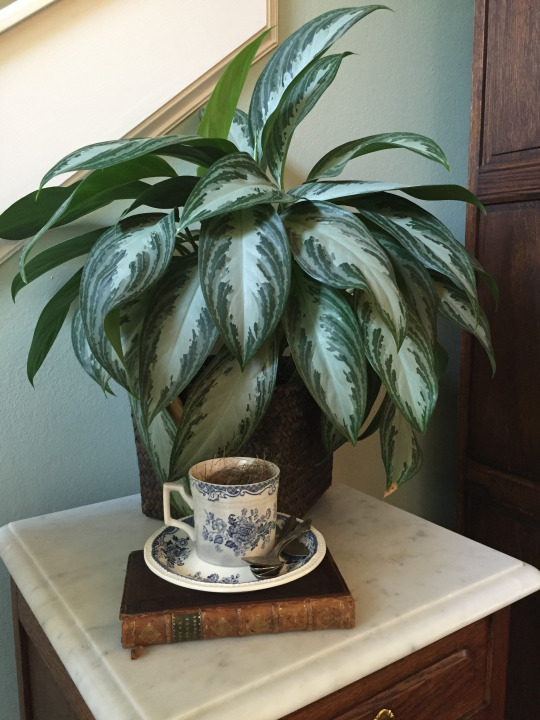 Do you have a faithful houseplant that you love? I’d love to hear about it!